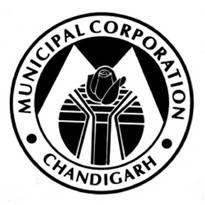 Municipal Corporation, Chandigarh Published Recruitment Notification for 532 Safai Karamchari Posts. Application Fee : Non Refundable Fee of Rs. 125/- for SC Category and Rs. 250/- for Others in form of Demand Draft Favouring Commissioner, Municipal Corporation, Chandigarh Payable at Chandigarh. Physically Disabled Category is Exempted from the Application Fee. Send Application to This Address : Medical Officer of Health, 30 Bays Building, Municipal Corporation, Sector No. 17, Chandigarh - 160017.